Gear4music, the fast-growing online music instrument and equipment retailer, has appointed MHP as its first PR agency as the company announces plans to float on the stock market. MHP was hired following a competitive pitch to handle financial comms, ahead of a planned listing on AIM that was announced this morning. The company hopes to raise £8m via the flotation for investing in marketing, expanding its product range, opening a flagship London showroom and paying down debt. The company also plans to expand into new markets by, for example, launching websites in new countries. Founded in 2003 by CEO Andrew Wass, Gear4music has grown rapidly in recent times, with revenue almost doubling from £12.3m to £24.2m over the past two years. Like-for-like sales growth in 2015 was 37 per cent. 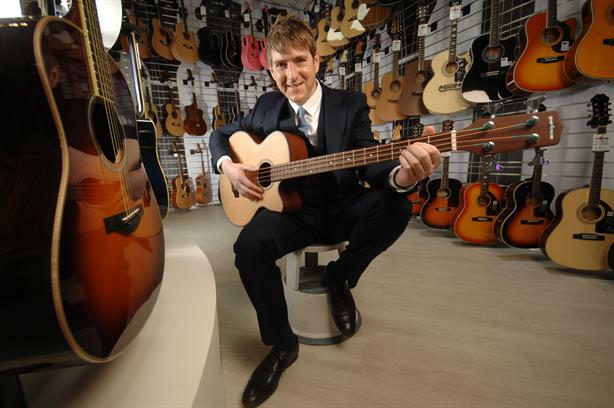 Yorkshire-based Gear4music sells more than 27,000 products from more than 550 brands. Wass said: "Over the past 12 years, we have established ourselves as one of the largest UK-based online retailers of musical instruments and music equipment and are well placed to build on the positive momentum we have generated to date, particularly over the past two years, which have seen our revenues almost double and our European business expand significantly. "We are very excited about this next stage in our development, with our forthcoming flotation on AIM enabling us to develop further our bespoke ecommerce platform, invest in additional marketing initiatives, extend the range of products we stock and open a flagship showroom in central London."